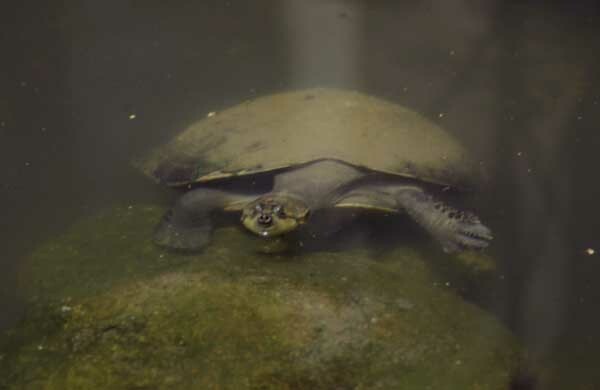 This is the Giant River Turtle (Podocnemis expansa). It is the largest of the 13 species of Amazon river turtles, up to three feet long and over 150 pounds. This species is avidly sought for meat, and its eggs are widely collected. Hence, it is considered a threatened species (CITES 2). If properly managed, this species could be a potentially sustainable resource for meat, eggs, shell and oil.